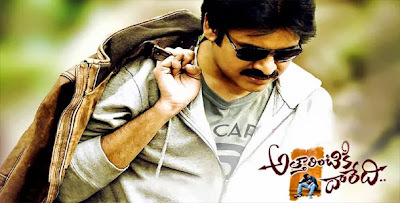 Power Star Pawan Kalyan's upcoming movie "Attarintiki Daredi" Movie Leaked online. Here are the tweets of Tollywood celebrities on Attarirnitki Daredi Movie leak online. RGV:- Irony is that all concerned condemning Attarintiki Daredi piracy are actually giving publicity to the fact that its available online. Nithin:- Pls dont support piracy..save TFI. Allu Sirish:- Request all movie lovers not to watch the pirated clips of Powerstar’s AD. We shud be united & support the Producer & our industry.Does the person who did this even know the consequences of his action? Livelihood of 10s of thousands of ppl are dependent on this film.I’m sure BSVN Prasad garu will overcome this obstacle & score a grand success. Waiting to see it 1st day, 1st show IN THE THEATRE. I am deeply saddened by what happened with Attharintiki Daredi. Its really unfair & unfortunate. This shudnt happen to ANYONE’S film. Rakul Singh:- Really Shocked 2 knw about d leak of #AD .Request every1 to stand against piracy.a lot of ppl put dre Hardwork into Mkn a film.respect it!! SS Thaman:- Hw can some1dare to keep our years of #hardwork on the roads.I seriously condemn this inhuman ACT. support #AtharintikiDaredi #kill piracy.